Nardone Limited represents individuals and businesses in federal (IRS), state, and local civil tax controversy matters. This representation extends from the initial audit and examination conducted by the taxing authorities to the administrative appeals process, court review, and collection matters. Nardone Limited has extensive expertise in handling matters with the Internal Revenue Service, Ohio Department of Taxation, other state taxing authorities, and many municipalities within Ohio. As former Department of Justice Tax Division personnel and tax law specialists, the attorneys and professional staff at the Nardone Limited provide aggressive high quality representation before the Internal Revenue Service ( IRS ), Ohio Department of Taxation, and local taxing authorities. These services include audit defense, substantive tax litigation, and collection matters. Taxpayers are entitled to many protections while under IRS audit, tax audit or investigation in tax controversy and the services of experienced tax counsel can reduce the potential for an adverse determination. When negotiation with the administrative arm of the IRS fails to secure a desired resolution, we have the experience to pursue judicial remedies to assure that our clients only pay the proper amount of tax and to minimize any criminal aspects of an investigation. What type of IRS or Ohio Department of Taxation tax cases can we help with? 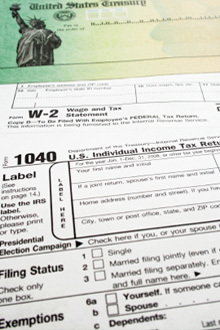 Please see attorney Vince Nardone’s tax blog at taxandcontroversy.com.